Not commonly known is that mining around Lake Superior began in the early 1700’s when French missionaries learned about the native copper. 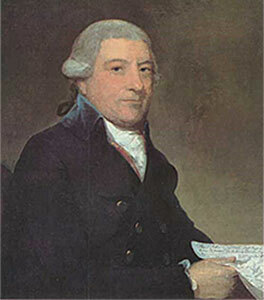 The British weren’t far behind in 1765 when Alexander Henry established a mine to extract silver found in copper ore on the shores of the Lake. During the mid- 1800’s there was a swell of mining for copper, iron booms in the 1800’s and in the early 1900’s the gold rush inNorthern Ontario– and all around Lake Superior. Over those years tons of tailings by the hundreds of millions were dumped into Lake Superior. Things weren’t better by the late 1970’s when the Reserve Mining Company dropped asbestos-like discharges of waste into the Lake affecting drinking water in many cities. Tests from Duluth Minnesota’s water supply showed 100 billion fibers per litre of water. Mike Ripley is a geologist who has spent the past twenty years of his career with the Inter-Tribal Fisheries and Assessment Program in Sault Michigan. The biological program is managed by the Sault Ste. Marie Tribe of Chippewa Indians and serves the needs of four additional tribes falling within the 1836 Treaty of Washington. In his role with the tribes, Mike sits as the United States co-chair of the mining committee formed under theLake Superior Bi-National Program. The mining committee was established in 2006 after a proliferation of mining proposals around Lake Superior threatened restoration and protection agreements established between Canada and the United States under the Great Lakes Water Quality Agreement. Of recent concern is the explosion of open pit mining. “The last two hundred years have taken a toll on Lake Superior but the new projects are very concerning. Open pit mining destroys a large part of the landscape. What’s often left behind is a giant hole in the ground that’s going to fill with water and toxic waste,” remarked Mike. 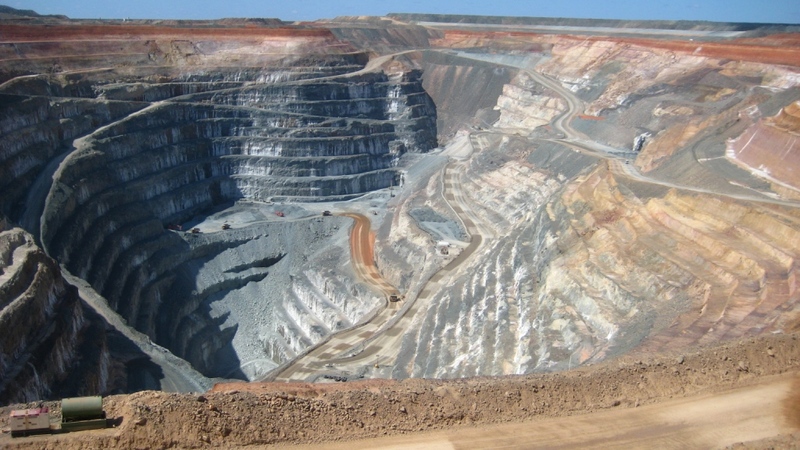 Open pit mines are a cheap but more destructive solution to mine materials that are scattered over a broad area. The Gogebic Taconite Company has issues a proposal to establish a four and a half mile long, one mile deep open pit taconite mine in Northern Wisconsin. First Nations have challenged the development asserting treaty rights. Should the proposal advance, the Gogebic Range- a mountainous area located on the south shore of Lake Superior, and the watershed for the Bad River Tribe will be affected. 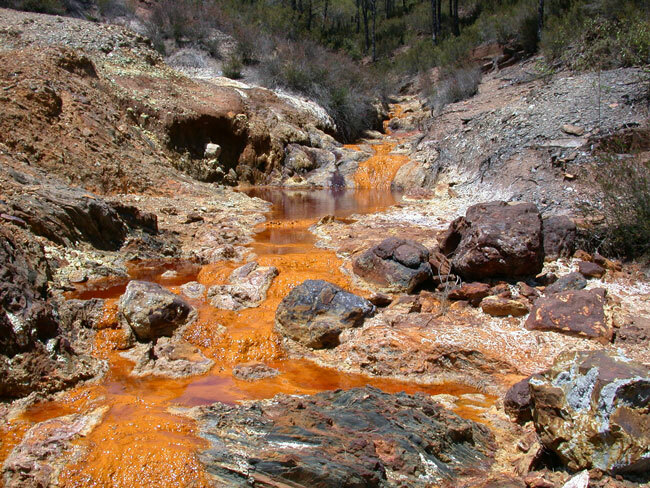 Combining open pit mining with the technique of sulfide mining is a recipe for toxic orange ooze- or more accurately, acid mine discharge. Acid mine drainage has a reliable reputation when it comes to contaminating ground water, rivers and lakes. There are two open pit sulfide mines proposed around Lake Superior: The PolyMet Mine and the Marathon Platinum Group Metals and Copper Mine Project. Three open pits of 800 acres producing an estimated 394 million tons of waste rock and ore, all generating acid. Transport of the ore to a mill located at the former LTV Steel Mining Company taconite processing plant. Millions of tons of mine tailings discharged in the form of a toxic, semi-solid slurry into the existing LTV tailings reservoir, which is unlined and contains wetlands and ponds. The Canadian mining industry is trying very hard to turn mining’s image around. In 2004, the Mining Association of Canada began implementing a program called “Towards Sustainable Mining“, a call to action for Canadian mining companies to act in a more socially and environmentally responsible manner. 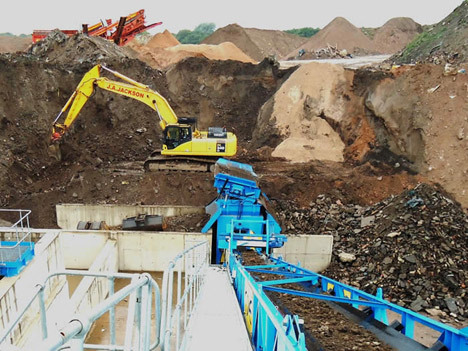 A Green Mining Initiative development currently in operation in mine sites in Canada uses organic wastes to rehabilitate mining lands, whereupon energy crops such as corn and canola can be grown for bio-energy production. If mining is ever ideal a good scenario is an underground environmentally friendly effort to remove a jackpot of material from a rich and concentrated vein followed up with restoration –filling up the hole with natural materials and replenishing native plants, and then a fast exit. And what could be more environmentally friendly than taking the entire mining scene to the moon- or rather your nearest galaxy asteroid. They can do it but should they? But wait. Before you power up your rocket ship there may be an alternative to conventional mining closer to home. Growing in popularity around the globe is the mining of historical landfills. In addition to the potential recovery of recyclable materials (key ones being soil, plastics and metals), mining and reclaiming materials from landfill can result in additional benefits such as the mitigation of environmental impacts (pollution of watercourses), landfill void space recovery, freeing-up land for redevelopment and the reduction or elimination of costs associated with landfill aftercare and monitoring. To learn more about mining around Lake Superior check out the Lake Superior Bi-National Forum website.